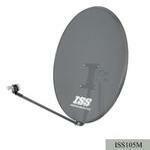 The ISS 60cm Solid Satellite Dish is made from galvanised steel. 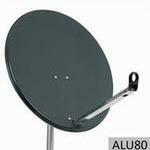 The ISS 80cm Solid Satellite Dish is made from galvanised steel. The ISS 105cm Solid Satellite Dish is made from galvanised steel. 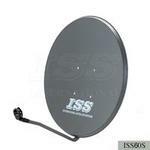 The ISS 60cm Mesh Satellite Dish is made from Phosphated Steel. 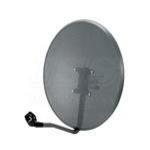 The ISS 80cm Mesh Satellite Dish is made from Phosphated Steel. 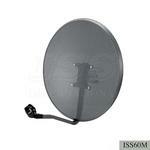 The ISS 90cm Mesh Satellite Dish is made from Phosphated Steel. 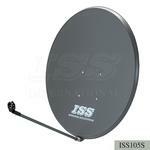 The ISS 105cm Mesh Satellite Dish is made from Phosphated Steel. The ISS 80cm Aluminium Satellite Dish is made from Aluminium. 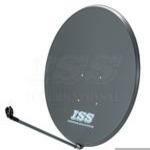 The ISS 97cm Aluminium Satellite Dish is made from Aluminium.